ReadyWe kick off each new school year with a "Back to School" conference for our homeschooling parents. 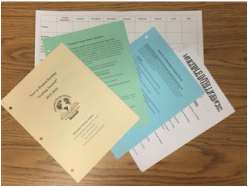 Shared below are links to the handouts and videos from the various workshops that were held. We will add to this list as more handouts become available. Refer to the "Parent to Parent" video for helpful tips as you begin homeschooling your student.